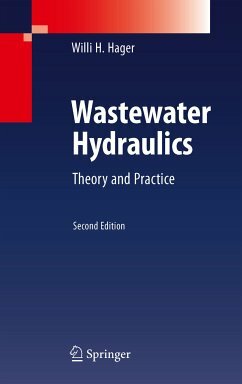 The second, enlarged edition of this established reference integrates many new insights into wastewater hydraulics. This work serves as a reference for researchers but also is a basis for practicing engineers. It can be used as a text book for graduate students, although it has the characteristics of a reference book. It addresses mainly the sewer hydraulician but also general hydraulic engineers who have to tackle many a problem in daily life, and who will not always find an appropriate solution. Each chapter is introduced with a summary to outline the contents. To illustrate application of the theory, examples are presented to explain the computational procedures. Further, to relate present knowledge to the history of hydraulics, some key dates on noteworthy hydraulicians are quoted. A historical note on the development of wastewater hydraulics is also added. References are given at the end of each chapter, and they are often helpful starting points for further reading. Each notation is defined when introduced, and listed alphabetically at the end of each chapter. This new edition includes in particular sideweirs with throttling pipes, drop shafts with an account on the two-phase flow features, as well as conduit choking due to direct or undular hydraulic jumps. Basic Equations.- Losses in Flow.- Design of Sewers.- Sewage Pumping - Throttling Devices.- Uniform Flow.- Critical Flow.- Hydraulic Jump and Stilling Basins.- Backwater Curves.- Pipe Culverts - Throttling Pipes - Inverted Siphons.- Overfalls.- End Overfall.- Venturi Flume.- Mobile Discharge Measurement.- Standard Manhole.- Fall Manholes.- Special Manholes.- Distribution Channel.- Sewer Sideweir.- Side Channel.- Bottom Opening.